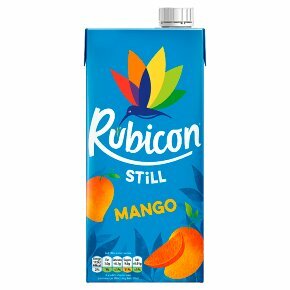 Rubicon - the True Taste of the Exotic. Still exotic Mango fruit drink made with the Alphonso 'King of Mangoes' variety for its distinctive taste. Containing the same delicious fruit as our original recipe but now with half the sugar. Suitable for vegetarians.Get your taste buds tingling with this sweet, creamy, mangolicious flavour that will keep you coming back for more.